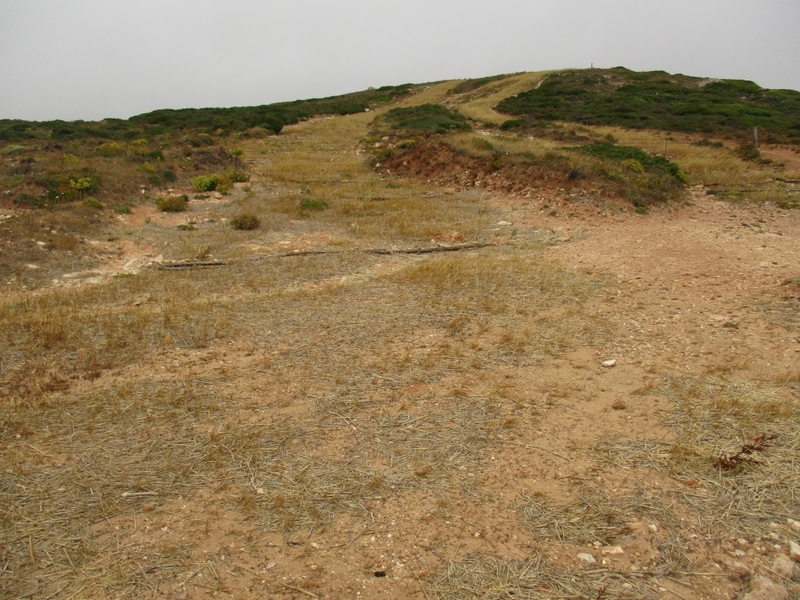 Remember the invitation to join us and work for the restoration of the cliffs of Praia do Telheiro (see news). As it was, the work of our team and others, summing up more than 30 people of various nationalities who worked for several days, competently directed by the Group Proteger o Telheiro and by Engr. Alberto Pietrogrande, is already producing results. In the top image you can see the state in which the cliff was completely exposed to the erosive force of rain and wind. 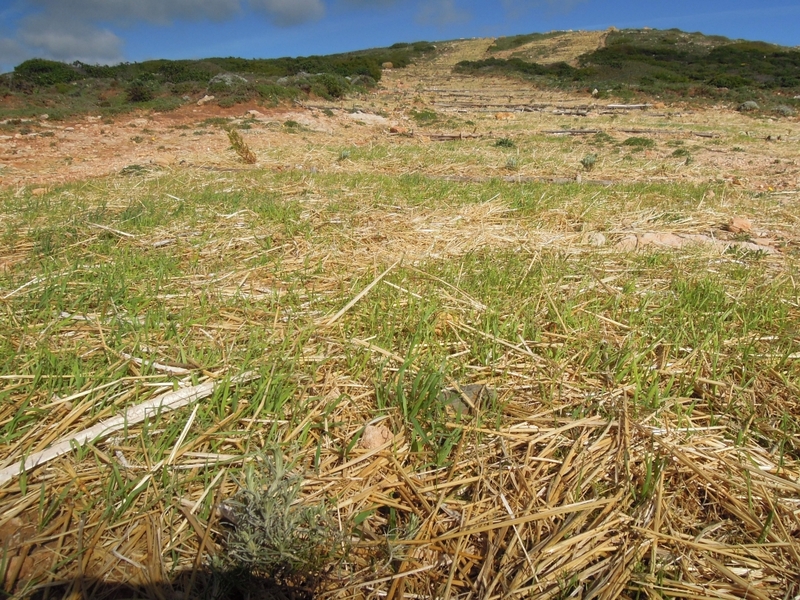 The cliff was properly protected through the creation of micro terraces, followed by sowing of annuals and planting nearly 2,000 evergreen shrubs, all natural species in the southwest of Portugal, and at the end everything covered with straw (top left image). As you can see in the images, after the rains, the recovery is starting to be a reality (bottom left image). This effort paid off! A ROCHA wants to express our heartfelt congratulations to all who participated in this effort and in particular to the Grupo Proteger o Telheiro for their hard work and commitment towards this corner of Portugal.